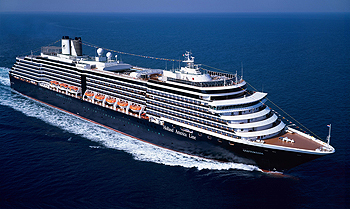 Holland America Line’s first Vista-class cruise ship, Oosterdam has delighted guests since her maiden voyage. Now, as part of a $300 million fleet enhancement initiative, Oosterdam recently emerged from dry dock showcasing a host of exciting updates, including new lounge, dining and entertainment venues, and completely refreshed suites. Guests now have more world-class entertainment options than ever before. Live music has always been the heart and soul of evenings aboard Holland America Line, and now Oosterdam features the full Music Walk experience – with three exciting venues. Lincoln Center Stage, featuring world-class musicians performing chamber music, and Billboard Onboard, rocking the house with 50 years of chart-topping hits, join the already popular B.B. King’s Blues Club, which brings the best of Memphis blues to sea, and completes our new “Music Walk” experience. 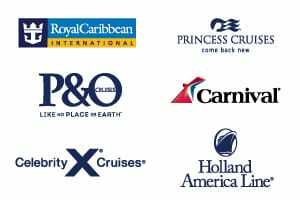 View all Oosterdam cruises, view a selection of Holland America cruise deals, or view more options for Holland America cruises. 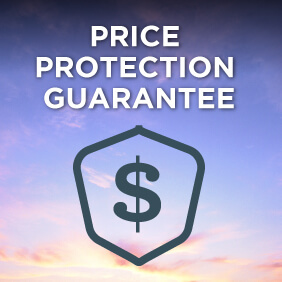 If you’re looking for the ultimate cruising experience that you’ll remember for a lifetime, you’ve come aboard the right ship. The ship of Holland America’s Oosterdam is well equipped to accommodate all of your activity possibilities. From the moment you embark this vessel to the second before you disembark, you’re guaranteed to become so occupied that it will be virtually impossible to keep track of the days nor the hour. Explorer’s Lounge: Make yourself comfortable. The Explorer’s Lounge is your space — an inviting arena of rich hues and warm smiles — in which to relax with a cookie or a cocktail. Close your eyes and imagine the most thrill seeking entertainment options that surpasses any and all entertainment that you will ever experience. What you’re imagining right now would be the vessel of Holland America’s Oosterdam. This ship has more to offer than just the superb view of the open seas. No matter how you plan on spending your nights here, you’ll become well entertained. Ocean Bar: Stylish, jaunty tones and maritime motifs bring seasoned seafarers to the Ocean Bar. Rub shoulders with other “old salts” as you swap tales of journeys past. Neptune Lounge: At your service is the Neptune Lounge’s Concierge, exclusively available to Penthouse and Deluxe Verandah Suite guests. Relax here over breakfast pastries with your favorite newspaper, or gather for evening hors d’oeuvres and cocktails in this timeless, genteel setting. Contemporary furnishings and a relaxed atmosphere — these are the essential ingredients for the understated elegance of the Explorer’s Lounge. This meeting place for friends old and new offers intimate seating for small gatherings. The Digital Workshop powered by Microsoft Windows: Guests will be able to “show and tell” their vacation memories, learning how to share all their digital memories through email, blogging and social networking – so friends and family can see where they’ve been cruising even before they return home. Free workshops taught by Microsoft-trained “techsperts” make it easy and fun, even for novices. Vista Show Lounge: features talented vocalists, dancers, illusionists, comedians and variety acts. Master Chef Rudi Sodamin worked with Le Cirque’s Executive Chef Craig Hopson to re-create the legendary eatery’s whimsical ambiance and award-winning cruise dining experience on board in the Pinnacle Grill for a nominal fee.